To counterfeit means to imitate something. Counterfeit products are fakes or unauthorized replicas of the real product. Counterfeit products are often produced with the intent to take advantage of the superior value of the imitated product. The word counterfeit frequently describes both the forgeries of currency and documents, as well as the imitations of items such as clothing, handbags, shoes, pharmaceuticals, aviation and automobile parts, watches, electronics (both parts and finished products), software, works of art, toys, and movies. 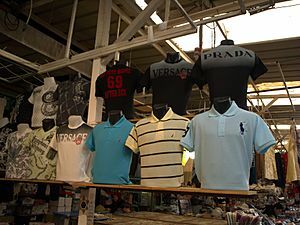 Counterfeit products tend to have fake company logos and brands (resulting in patent or trademark infringement in the case of goods), have a reputation for being lower quality (sometimes not working at all) and may even include toxic elements such as lead. This has resulted in the deaths of hundreds of thousands of people, due to automobile and aviation accidents, poisoning, or ceasing to take essential compounds (e.g., in the case a person takes non-working medicine). The counterfeiting of money is usually attacked aggressively by governments worldwide. Paper money is the most popular product counterfeited. Counterfeit money is currency that is produced without the legal sanction of the state or government and in deliberate violation of that country's laws. Forgery is the process of making or adapting documents with the intention to deceive. It is a form of fraud, and is often a key technique in the execution of identity theft. The spread of counterfeit goods (commonly called "knock-offs" or "rip-offs") has become global in recent years and the range of goods subject to infringement has increased significantly. Apparel and accessories accounted for over 50 percent of the counterfeit goods seized by U.S Customs and Border Control. An authentic Intel flash memory IC (right) and a counterfeit replica (left). 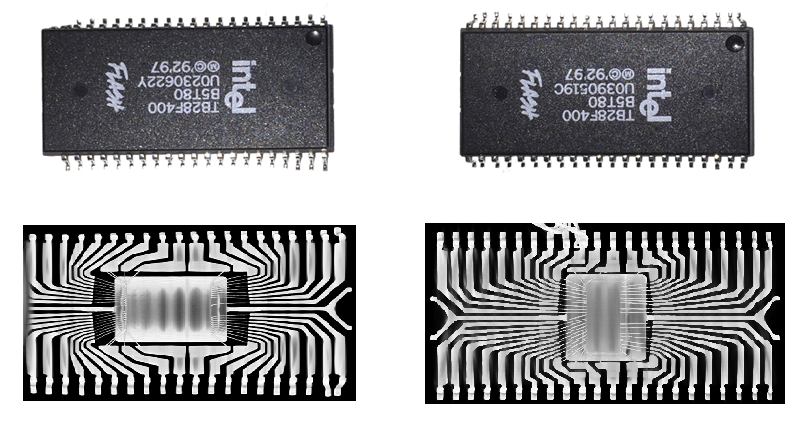 Although the packaging of these ICs are the same, the X-ray images reveals that the inside structure of the fake one is different. Counterfeit LG brand and products, such as televisions, monitors, air conditioners, etc. Counterfeit Facts for Kids. Kiddle Encyclopedia.